If you had a stencil of the Mona Lisa, would that make you as good as Leonardo da Vinci? Of course not. Even with the exact instructions to create an identical replica of the iconic painting, you are likely to miss something - a speck of light, a touch of shading - simply because you do not have da Vinci's unique skill set. So if Dale Steyn told the world's bowlers what to do on the subcontinent's stubborn surfaces, would they get the same results he has? Of course not, which may be why, two days before the first Test against India in Mohali, Steyn revealed the secrets behind his unprecedented success in such unfriendly conditions for seamers. 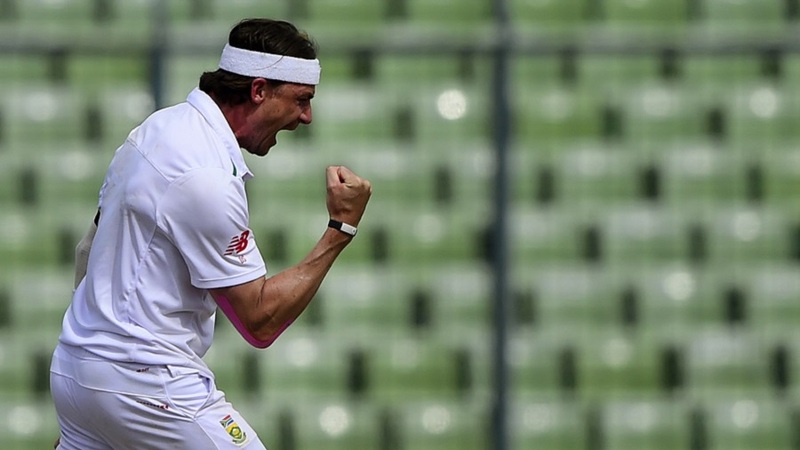 "One of the key things I have done here is to bowl fast," Steyn said. "Pace through the air is really important. With the wickets being on the slow side, anything from 135 down - batters are able to make the adjustment when the ball hits the deck. It's the guys that bowl 145 plus, that really rush batters because it gives them a lot less time to be able to adjust when the ball is reversing or there is a bit of something off the deck. But control is another thing. You have to land the ball in the right area." That's it then? Pure pace and precision and nothing else? Not quite. The fear of the fast bowler could force a batsmen into a mistake. Sometimes, the irritation of the accurate bowler could induce an error. Sometimes. But, the rest of the time the bowler has to have a Plan C, which will often involve his fielders. "We do a lot of homework: who we are playing against and where players get out, especially their last 10 innings. We look at how have they got out and if there is a pattern," Steyn explained. "It's not rocket science. Jacques Kallis always used to say top of off stump with the odd bouncer to any batter in the world is really difficult and that's generally it. But if you get a guy like Sachin, when you bowl top of off stump, he will hit you through point. And If you bowl the top off to M Vijay, he will probably hit you through covers, so it's important to know where you want your fielder to be. The delivery stays the same but the batsmen's shot-making will change." Then come the mind games. "It's about getting into his head a little bit. Maybe looking at his last ten dismissals and if there has been an area where he has got out, maybe caught short midwicket for example, putting a guy there and making him aware that, 'I know that's where you have got out, I know you are uncomfortable getting out there, stats tell me in your last 10 dismissals you've been out there eight times, I am going to put the guy there and I am going to tell you about it and if you get out to him, I am going to laugh at you too." India's batsmen have been warned that Steyn has done his research but that is not all that should concern them. Steyn also considers himself readier than he may have been at the beginning of the tour, and is even threatening to deliver more overs with more venom than usual in a place where he "loves bowling". "I tend to bowl better when I've had some bowling under my belt. I've often gone into a first Test a little bit undercooked when I haven't had a series before and then as the series goes on, I tend to get better and better," he said, referring to the benefits of having played the ODIs first. "And I love bowling in India because the grounds are quite flat. In South Africa, you've got this massive table where it feels like you are running uphill when you have to bowl whereas here it feels like you are on a tartan track, you are running flat. Here you don't have that extra leg workout, you almost feel like you are running downhill all day long - so even though the wickets are not offering you a lot like pace and carry, your run up always feels smoothly the ball tends to always come out quite nicely. You are able to push on all the time." "It's not like at the Wanderers where at five in the afternoon when you've been bowling all day, now you have to run up this hill to bowl. It's still really difficult but the guys are fit, I understand that's my job and I want to bowl faster in the late afternoon than I did in the morning." There's the second part of the secret: more pace and precision at the end of the day than at the start. The world's bowlers may know the formula, but how many would be able to put it into practice?